When author Mike Barnes became his mother's caregiver, he started writing daily reflections about the stress he experienced. 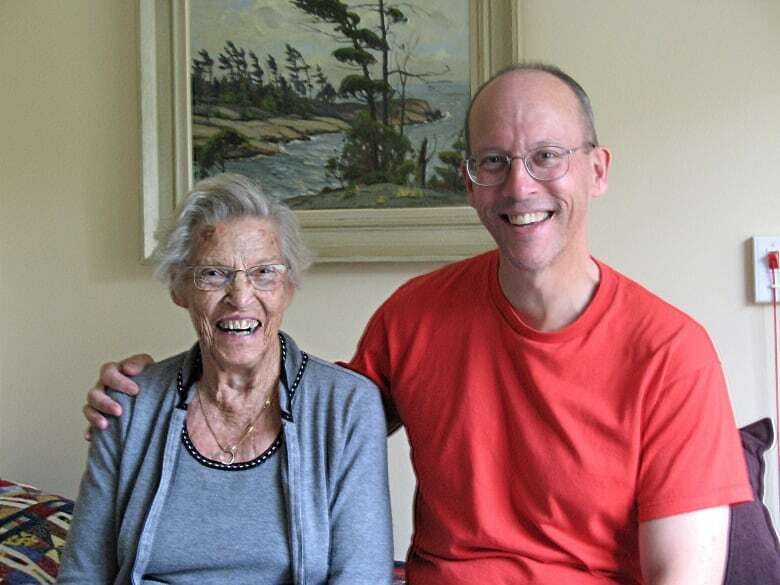 His mother, Mary, first started showing signs of dementia over 10 years ago. At first, Barnes' father took care of her. But when he died seven years ago, the bulk of the responsibility fell to Barnes. "I think I'm about where anyone would be seven years into caregiving, which is fairly embattled and somewhat ground down," Barnes told Tapestry host Mary Hynes. Between his full-time job and caring for his mother, who is slowly succumbing to Alzheimer's disease, Barnes regularly clocks in 18-hour days before he gets to sleep. Be With: Letters to a Caregiver is meant to be read in those short moments between tasks, or in a hospital waiting room. In addition, Barnes struggles with bipolar disorder and managing his own mental health. And yet, he felt compelled to write letters about the issues he confronted day-to-day. These letters eventually formed the basis of his new book, Be With: Letters to a Caregiver, a collection of vignettes and reflections on caring for his mother. "I think it was because I wanted something that was just my own," said Barnes, an accomplished writer and poet. "I felt very dried out, as well as exhausted, because there was nothing of my usual inspirations coming in to fill the well back up. And I think this was a way of giving myself a little bit of something back." The letters are short, so that caregivers can read them in a waiting room, or between caretaking tasks. Sharing his own personal struggles, Barnes tries to assure caregivers it's okay to feel overwhelmed, especially at the beginning. "The beginning is a really steep drop because life as you know it kind of comes to an end and these new responsibilities take over," said Barnes. Barnes noted that while most people know Alzheimer's results in memory loss, they're less aware of the fact that victims also lose basic motor control and pain awareness. Through all of these challenges, a caregiver needs to have a healthy mind to continue working, Barnes said. He suggested, for instance, caretakers tell themselves that they're doing a good job and use notes as regular reminders. Barnes also recommended that caregivers allow themselves to indulge in what makes them happy. For Barnes, that means retreating from the world. "I withdraw into a secluded environment and give myself the cure of very low stimulation," he said. And when those moments of joy come along, as they eventually do, Barnes said it's important to savour them. He recalled an evening when Mary, once an avid reader, tried to sound out the letters of a Dollarama sign. Though she never quite got it, she got close enough for him to look back on that night fondly. "I was holding her hands and it's a peaceful moment. It's a good moment," said Barnes. Win a copy of Mike Barnes's book! 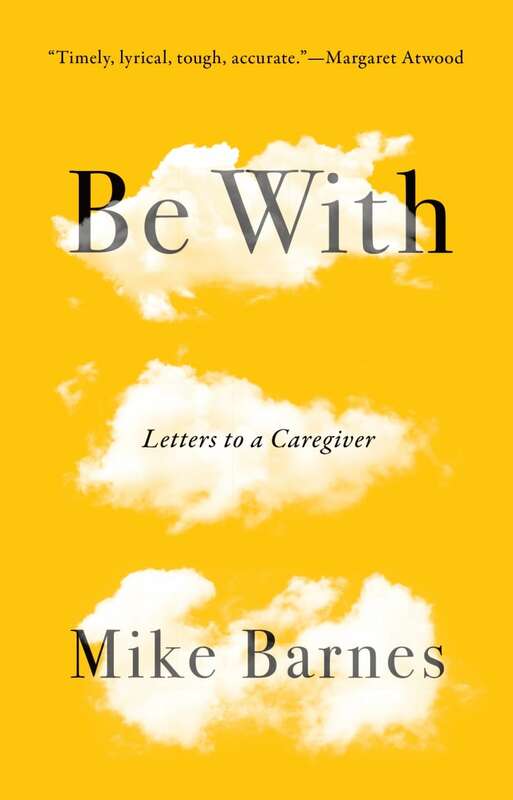 We're giving away two copies of Mike Barnes' book, Be With: Letters to a Caregiver. If you'd like to be entered in the random draw, email us at tapestry@cbc.ca with "Caregivers" in the subject line. Read the CBC's contest rules here.